Fox’s Gotham wants to bring terror back to the Big City, and this latest villain gives us a peek at what’s in store. Executive producer Danny Canno has announced that The Tick’s Michael Cerveris is joining the cast as Professor Pyg. 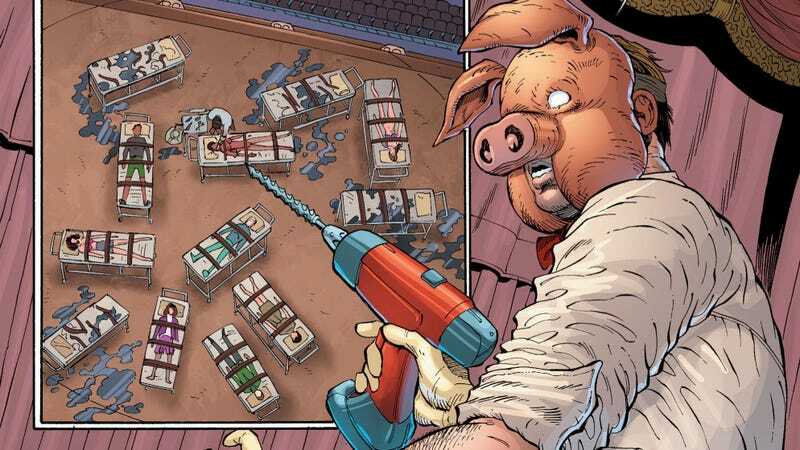 Professor Pyg, also known as Lazlo Valentin, is one of the weirdest villains to come out of the Batman canon. First appearing in DC’s Batman #666, he’s a skilled surgeon who is obsessed with making people “perfect,” to the point where he forcibly turns people into so-called Dollotrons by bonding fake doll faces on top of their own. Yes, he wears a pig mask... and he loves it. Canno added that Cerveris (who can currently be seen as Ramses IV on Amazon’s The Tick) will be featured in several episodes of the series right alongside big bad Scarecrow, who Canno thinks is going to terrify the audience just as much as he’s terrorizing Gotham. The series returns September 21.